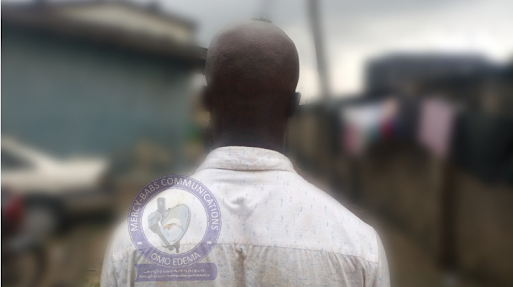 A 25-year-old bricklayer from Ijebu-Igbo who was kidnapped in Ibadan, Oyo state, last month, has revealed how he was freed from the den of the men of the underworld. “I am a bricklayer. I went to work at Ojoo in Ibadan last week Monday(10/9/2018). And on Wednesday I was still on the work plastering an ark on the building. Then a man came around and told me he liked the way I was doing the work. He later introduced himself as a civil engineer and requested for my phone number with a promise to call and give me job to do on his building contracts. “l live in Ijebu-igbo in Ogun state. And I returned home in the week. In the following Sunday (16/9/2018), the man called me; in fact I was in the church when his call came in, telling me to come to Ibadan immediately that there was a job for me there. I told him I had no transport fare. And he said I should send my account number to him to credit it with the fare. As I did, he sent ₦2,000 to me. Just as I withdrew the money, I headed for Ibadan. “As I got to Ibadan, I called to inform him and he told me to wait for him at Iwo road. So, I waited for him at a restaurant there. He came shortly but with one other man. They both came in a Toyota Camry car. The other man drove while the engineer seated by him in the front. They asked me to come in to the back seat of the car. And I asked them of the location of our destination. They told me that the job was somewhere immediately after Ojoo. According to Osinlowo, he got hypnotised through the handshake and before he got back to his senses he was already in the bush. “They took me into a thick bush where there were short rocks like stools. There was no building there. They sat me down on one of the rocky stools and very close to me was an elderly woman seated on the ground. I was hearing mixed noise of people on the other side of the bush but could not tell what was actually going on there. “The first day I was not fed, but on the second day they came to feed me. When it was the third day, they came to shave off the natural dreadlocks on my head to the scalp with a razor. “In the twilight of the third day, an elderly man came to the spot and asked that where is the person said to have been brought by ‘Foka’. They told him I was the person. The old man shouted on me ‘stand up’. As I did, I went closer to him and he asked them that where was the hair they shaved off from my head. They brought it to him. And he saw that it was deadlock. "He now asked me that what happened to my head because there is a scar on my head. I told him I was still a little boy when I got wounded. Then he questioned further that the scar is how old and I told him that my younger brother they gave birth to when the incident happened is now 21 years of age". Osinlowo said in the night of the day the old man rejected him, 2 men came to tie his hands with rope and his face with wraps of cloth and was dragged into a vehicle. “As they took me into the vehicle, I noticed the vehicle began to move. After driving for a while, they later untied my hands and face and shortly they dropped me down from the vehicle on a bridge with a warning that if I stand up from where they dumped me, they would come back to shoot me. “Immediately their vehicle began to zoom I too began to shout ‘thief’, ‘thief’, but they have zoomed off . It was the RRS Police around the place that told me I was in Lagos. The policemen now contributed little money for me to enable me return home".